We are a team of 30 people from all over the world working in Paris. It all started in Paris in February 2016. In the beginning, there were 3 brothers, who were neither cooking experts nor comfortable working a camera. We had the desire to transform the kitchen into a space for sharing and emotion. Despite this desire, the first videos were flawed. The recipes were rough. We persevered. The recipes that followed gained in flavour and design as the rhythm of the images continued to develop. But we were limited in our skills and were ineffective. Some filming could last up to 48 hours...! Fortunately our goal was not perfection, and we invested our time and efforts into structuring a new brand: a brand that would be in line with the growing market of cooking in our lives. Far from the utilitarian dimension that characterised it before, cooking has become a societal subject, a platform for sharing and entertainment. Through perseverance, we were able to express these ideas in the first Chefclub videos, so little by little we began to gain followers and the support of a community that rallied around these values. " Fortunately for the future of Chefclub, these clearly expressed values resonated with people much more talented than us. 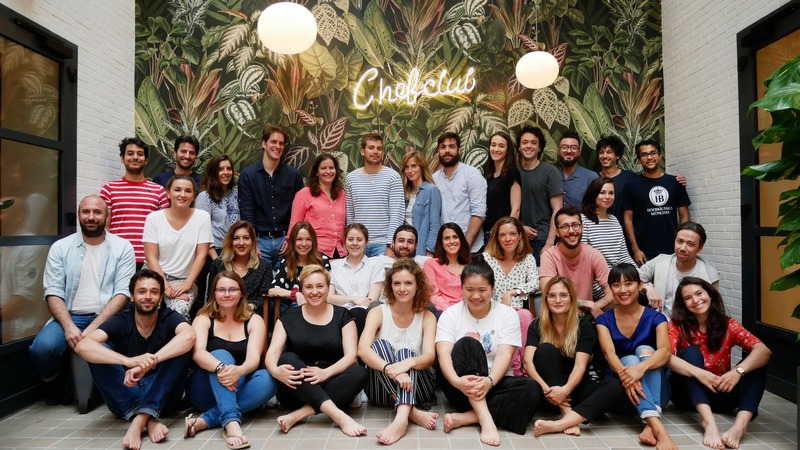 Chefs, experts and cooking enthusiasts all joined Chefclub, to explore with us a new world transformed by social media platforms, in which cooking has never before occupied such an important place. We are a multicultural team of talent from all 4 corners of the world. Our passion for cooking brings us together in Paris. We learn from each other, we innovate together, always with a foodie mindset. We assembled a team of culinary talents from all over the world: French, Italian, Japanese, Korean, Chinese, Brazilian, English, German, Argentinian, Spanish... Thanks to Europe, which has taught us diversity, we are fully aware of the differences in culture and gastronomy that defines the continent and the world. Combined with a passion and expertise that grows stronger every day, we are now equipped to make Chefclub a specialist brand that can inspire the world in the various sectors of the kitchen. We are always looking for new talent to share in the Chefclub adventure. The team is built around different expertise: cooking, nutrition, filming, animation, marketing, and analytic development. The work is hard and intense, but we are inspired everyday by the comments and sharing of the incredible Chefclub community ❤️.